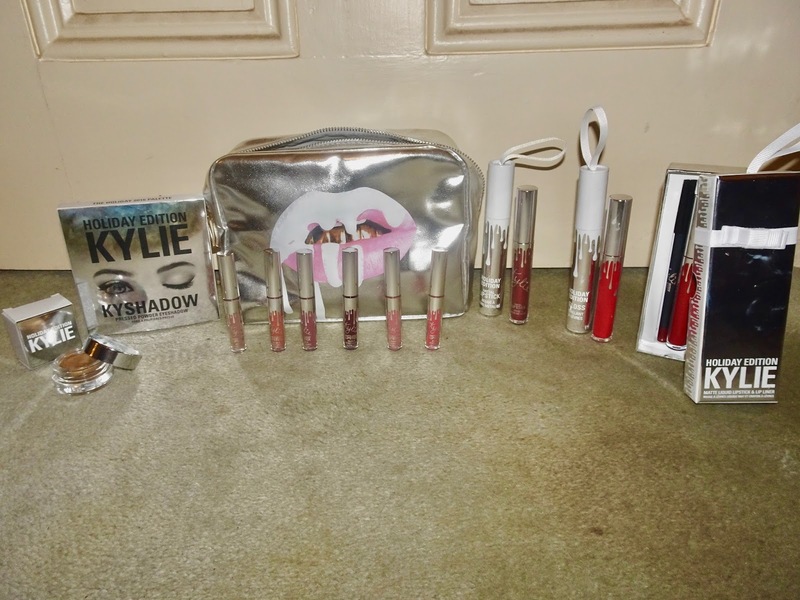 Recently I purchased Kylie Jenner's holiday edition Merry Bundle. I've had time to test all the products out and want to share what I got with you! So to start of all the packaging was super cute, I love the idea of presents as ornaments on your Christmas tree. As I got the Merry bundle it came with the Merry lip liner and matte liquid lipstick. It also came with a metal and a gloss, I was interested in the metal because I've never owned a metallic liquid lipstick before. I was so surprised at how small the mini matte liquid lipsticks where, but I think Kylie made a good decision with putting some of her most popular shades into this set. It is a good buy if you want to try the shades out before buying the full sized version. I've also never had a creme eyeshadow before but I was a bit disappointed with the first initial swatch, but I soon realised that you need to build the colour up. 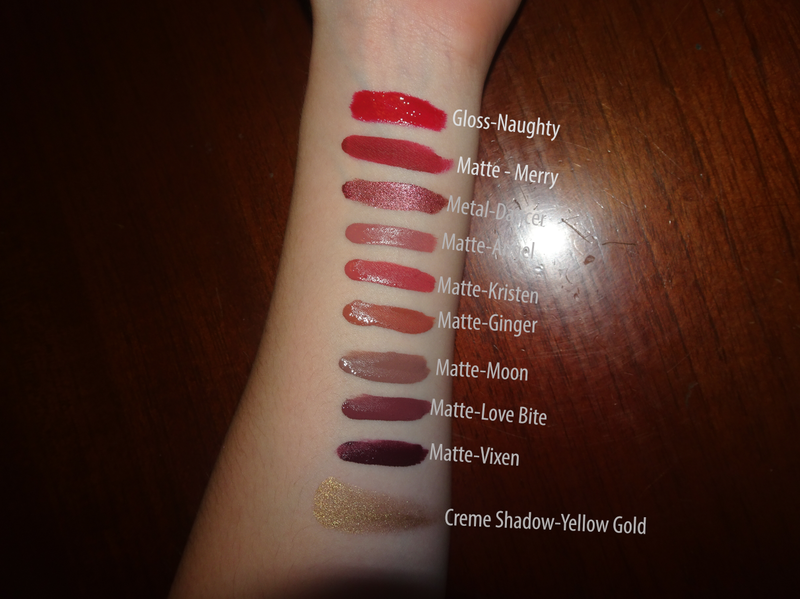 Here are the swatches of all the liquid lipsticks and the creme eyeshadow that was in the Very bundle. And lucky last the Kyshadow pallet, I was super excited for this one. I am a bit disappointed in one shade which is 'winter', I am not sure if I just go a bad pallet or I should wet the brush but the pigmentation is really bad. Besides that one shade all of the other shades work perfectly. 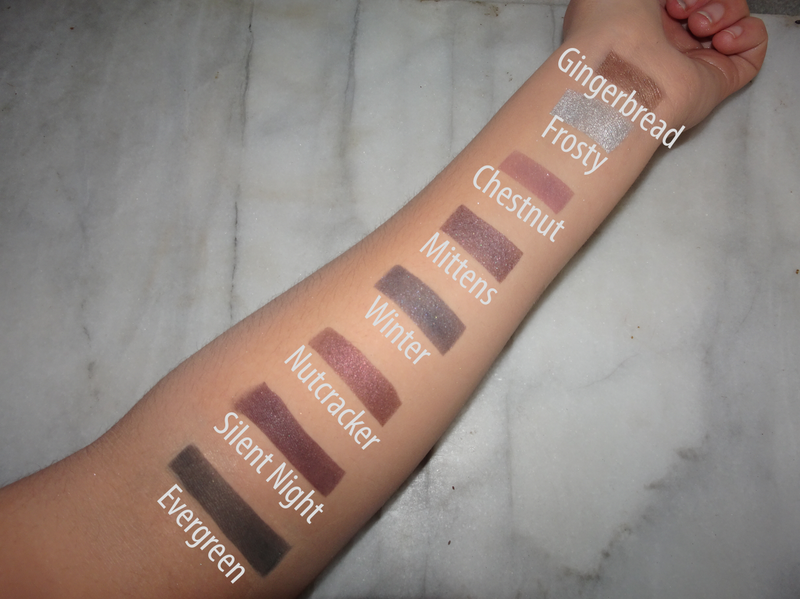 I swatched all but the first shade called 'Sugar Cookie' but it didn't show up on my skin very well so I did not include it. I hope you liked this blog post, only two more days till the end of blogmas! I'd love your feed back on what you thought of this blog post and what you would want to buy and if you think your getting it for Christmas!